This integrated Master’s draws on all of our experience and the success we have had with both our BSc (Hons) Product Design degree and our BA (Hons) Product Design degree. One advantage of undertaking an integrated Master's is that you are eligible for a tuition fee loan for the entire course, including the postgraduate element – an option not available if you study a traditional Bachelor's degree followed by a standalone Master's. You'll follow the same programme as the BA (Hons)/BSc (Hons) Product Design until your final year, with both of these courses designed to provide you with the skills you'll need to develop successful commercial products. This degree offers a well-balanced mix of practical experience and theoretical study of product design, ensuring that you leave with an excellent understanding of how products are made. This knowledge can inform your designs, allowing you to consider the practicalities of producing a design, as well as its overall function and appearance. During the course you will get the opportunity to meet industry professionals, many of whom studied at BU, and gain real-world practical experience by working on project briefs. Your design skills will be developed with the support of our friendly, professional, dedicated, highly qualified and experienced academics, technicians and demonstrators. BU has excellent facilities on-campus including specialist CAD labs and our Innovation Centre. The Centre houses equipment as used by companies in the industry which you will use to create and develop your prototypes, so you’ll gain an in-depth understanding and practical experience of the production process which will be invaluable once you’re out in the workplace. The opportunity to undertake a work placement in the third year of your course will give you hands-on experience of day-to-day work with a company, enabling you to further develop your skills and ensuring that you have practical experience and industry contacts once you graduate. In your final year, you will undertake an individual design project, and display your prototype at our annual Festival of Design & Engineering which is open to the public. You could also be selected to exhibit at New Designers in London. This degree has been accredited as fulfilling the requirements for Chartered Technological Product Designer (CTPD). You will be entitled to free membership of the IED and receive their bi-monthly journal free of charge, too. 92% of our final year students agree our staff are good at explaining things – join us on live chat now to find out more, or register to meet us at an Open Day. If English is not your first language you'll need IELTS (Academic) 6.0 with minimum 5.5 in each of the 4 components or equivalent. For more information check out our international entry requirements. Team Project: You will engage in collaborative team work across the design disciplines to generate a wide range of design ideas, concepts and solutions in response to set design briefs, and effectively present to different audiences to communicate your ideas. Design Communication: You will develop understanding of the principles of idea generation, design communication and presentation through a range of media. You will explore form and function through manual presentation techniques, apply digital image manipulation, develop part and assembly mock-ups through computer modelling and develop engineering drawings for technical presentation. Materials and Technology A: You will learn to apply a range of fundamental mathematical and engineering principles to analyse basic product design problems. Lab sessions will develop your ability to select, test and exploit materials and manufacturing processes in the synthesis of product design solutions. Materials and Technology B: This unit will further develop your knowledge of a wide range of materials and their basic properties in order to understand how these properties may be exploited or modified to satisfy a design requirement. Design Projects 1: The unit aims to develop a holistic approach to design that is creative, dynamic and structured, thereby encouraging the development of creative and analytical thinking in design. You will create a physical and/or digital model, prototype or visual and present the results in a professional manner. Design Studies 1: This unit will develop your understanding of contextual and historic design issues and perspectives and your understanding of the application of psychology and physiology for effective ergonomic product design. Manufacturing and Technology: This unit will build up your understanding of the properties and uses of functional materials used in modern manufacturing for competitive product development. Product Design Tools: This unit will broaden your understanding and application of the principles of product design visualisation, presentation, tools and techniques. Product Design Projects 2A: You will develop your ability to satisfy both the technological and humanistic needs and requirements of a product in the context of current social, economic and manufacturing requirements and regulations. Product Design Projects 2B: You solve increasingly complex design problems and expand your ability to employ materials, media, techniques, methods, technologies and tools associated with product design through drawing, modelling, computer visualisation and physical prototyping using skill and imagination. Management and Commercialisation: This unit will introduce you to the key aspects of business and management that relate to the development and delivery of commercial value, and the issues facing business functions such as marketing, operations and finance. Design Studies 2: This unit will build on the design experiences in the first year, developing your sensitivity and awareness to aesthetics of design and efficient methods surrounding the product design and development process. You will complete a minimum 30-week industrial work placement which can be carried out anywhere in the world. You'll get an opportunity to include a period of academic study during this time. The placement year offers a chance to gain experience and make contacts for the future. You'll choose either the BA (Hons) or BSc (Hons) option during your placement year. The BSc option has more focus on the technological areas of design, while the BA option has more focus on the humanistic and contextual issues of product design. Advanced Technology: ​This unit will provide you with the understanding and professional competence required for design of products for structural integrity and reliability, and the ability to predict the performance and reliability of products in service. Design Studies 3: You will further build on knowledge built in your first two years, exploring the synergistic relationship between product design aesthetics and ergonomics. The unit will enable you to make informed ergonomic decisions through the application of psychology and physiology. Product Design Projects 3: This unit aims to synthesise the broad range of skills and understanding gained during the whole course to identify, develop and solve a Product Design problem, in a professional manner. Product Design Prototypes: This unit will enable you to gain in depth knowledge of prototyping material and techniques, manufacture your own advanced product prototype. Competitive Product Development: You will look at a broad range of business factors including political, social, environmental pressures and others affecting competitive product development within domestic and international markets. Additionally you will establish best practice surrounding strategic marketing, product design, manufacturing and product sourcing, and the benefits of partnerships within the supply and distribution chains. Design Thinking: In this unit you will encapsulate a research based approach to investigate the latest ideas surrounding advanced design methods and user experience design to move products from a physical viewpoint to one of also seeing the product as a service, taking the product into the virtual and the interfaceless. Group Project A: This unit will develop essential management skills required to lead a professional team towards a successful solution of a technical problem. You will also develop strategies for team building and conflict resolution on a holistic approach to management. Life Cycle Management: This unit consolidates your knowledge of sustainable design issues through the means of materials optimisation and life cycle techniques, including the quantification of environmental impacts during the life cycle of a product/service from cradle to grave. You will also demonstrate application of financial, economic and social legislative and environmental factors to product design, and the impact of a positive ethical conduct to design practice. MDes Project: In this unit you will critically investigate and report on a particular product design issue in depth, considering recent research findings and industrial experiences. You will develop and engage in project proposals, planning, experimental design and analysis techniques, and be able to independently select appropriate strategies to successfully execute an independently-conducted product design project. Dedicated for the use of design and engineering students, our workshops and laboratories are fitted with a wide range of equipment and tools used by professionals. Using industry-standard equipment throughout your course really prepares you for the world of work. One of our placement employers recently commented "Bournemouth University has by far the most talented and work ready students." Find out more about the equipment we have in our Innovation Centre. The placement provides an excellent opportunity for students to gain first-hand industry experience. Experience gained on the placement is invaluable in helping students to make informed decisions about their future career path, as well as enhancing employment prospects upon graduation. We provide a great deal of help and support to ensure you achieve a rewarding and satisfying placement. The experience that you will gain during your placement is invaluable in helping to make informed decisions about your future career path, as well as enhancing employment prospects upon graduation. During the placement year you will have the chance to develop your interpersonal skills and build on the theory and knowledge you have gained so far. Many of our students are offered permanent jobs after graduation by their placement companies. During the placement year you will have the chance to develop your interpersonal skills and build on the theory and knowledge you have gained so far. Many of our students find that they are offered permanent jobs after graduation by their placement companies. You will begin your placement after completion of your second year of study and you must complete a minimum of 30 weeks although most students decide to work a full year. Placements take place within a relevant industry. In addition to the need for a broad basic knowledge and the ability to communicate in a wide range of disciplines, is the recognition that applicants must be able to think both creatively and analytically. The applicant must also have a desire to be able to learn about design by producing working prototypes of their solutions. Experience of CAD would be beneficial although not essential. We select candidates for this course by looking at your application. For that reason, make sure your application really stands out from the crowd, and leave us in no doubt as to why you should be joining BU. We may invite you to take part in an interview. You can find some handy hints about filling in your UCAS form on our how to apply web pages. We have recently reviewed this course to take advantage of new approaches to learning and teaching, as well as developments in industry. As the aims, structure, content and learning outcomes, teaching, learning and assessment methods may have changed as a result of the review, you can find the relevant information for your year of entry in the appropriate programme specification. For September 2019 and September 2020 entry: 104 - 120 UCAS tariff points including a minimum of 2 A-levels or equivalent. If you do not meet the English language requirement for your degree then why not join our Pre-Sessional English course?. Successful completion of our Pre-Sessional English course will meet your English language requirement. This course combines practical skills, academic knowledge and excellent work experience to give you a head start once you begin your job search. Learning about the practicalities involved with making actual products will give you a true overview of the production process, preparing you for work at every level from designer through to production manager. And of course you will have a Masters of Design Postgraduate qualification that is accredited by the IED on behalf of the Engineering Council. After graduation, you can use the IED job board to post your CV, and you'll get reduced membership rates. 85% of our students are working or studying 6 months after graduating. This course is accredited by the IED, which means you will have all the skills you need to get started in the industry as soon as you graduate. Our annual Festival of Design & Engineering is where our final year Design and Engineering students exhibit their prototypes and projects. This is one of BU’s longest-running events, giving the public and potential employers an insight into how our students’ work might make a difference in the future. Many of their projects are a direct result of industry collaboration – offering a solution to a real-life problem, and resulting from practical issues experienced during placement years. Danny Kirkpatrick’s cable cam systems allow for moving film to be captured. They are designed to capture film from one point to another across terrain and environments that other specialised camera equipment can’t access. The Hawk Line is a robust and compact cable cam system that allows for stable, high quality, moving film to be executed via a remote. Hawk Line brings a specialized, professional product to the amateur market, allowing aspiring filmmakers to produce professional footage without the professional price tag. 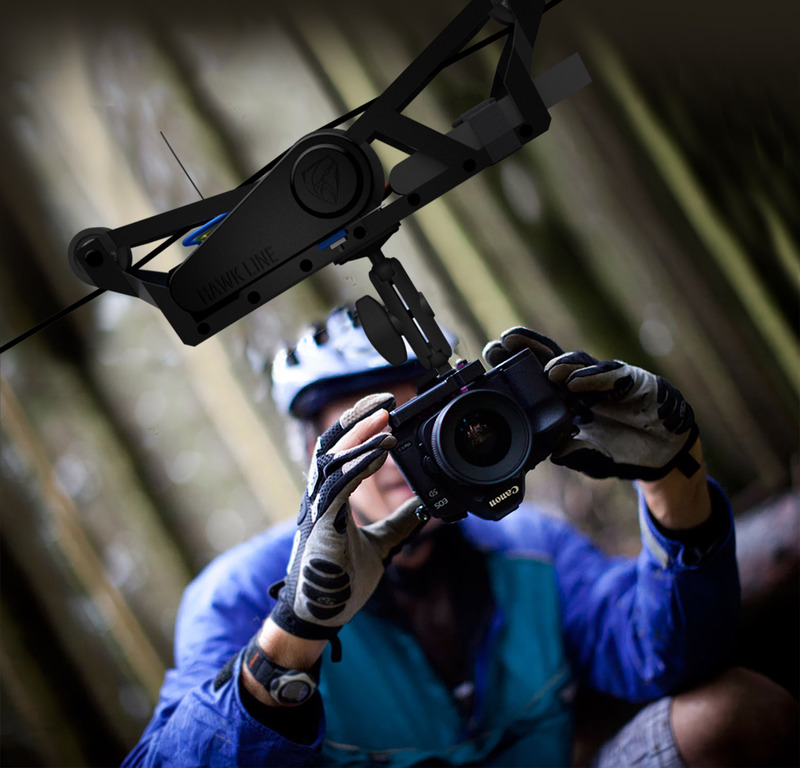 The product weighs less than 3kg, making it the perfect tool for a day out filming. • Accommodation and living costs. Our accommodation price guide can be found on our website. • Text books, general stationery and other supplies. Our award-winning library is stocked with a large range of text books and online resources, free of charge. The Students’ Union shops stock a wide range of stationery supplies on both campuses. Russell's specialisms are computer aided Design (CAD), 3D printing technologies and information technology. He joined Bournemouth University in 2003 and has developed educational materials combining 3D modelling and 3D printing for undergraduates. He has been involved in consulting a defence company on its use of CAD with other Bournemouth University staff members. Dr Bryce Dyer, a Senior Lecturer in Product Design, created a new limb for athlete Colin Lynch, whichhe used as he represented his country at the Rio 2016 Paralympic Games. Associate Professor Dr Tania Humphries-Smith is the current Chair of the Institute of Engineering Designers (IED), the UK’s only professional body representing those working in the many fields of engineering and product design. 15/11/17 Change: After an annual review of the placement year tuition fee, a price increase in line with current inflation, equating to 3% has been introduced. 6/9/2017 Change:2018 entry requirements have changed to 104 - 120 tariff points including a minimum of 2 A-levels or equivalent. Previous text: The entry requirements for this course are 104-120 tariff points including 3 A-levels or equivalent. 6/9/2017 Change: 2018 GCSE entry requirements have changed to This course requires GCSE English and Mathematics grade C (or grade 4 in the reformed GCSE grading) or equivalent qualifications. One particularly special and fairly unique trait at BU is that students are required to make a fully working prototype themselves.